In a recent podcast (well, actually, upcoming, because I haven’t released it yet – sign up for my email list to find out when it goes live), I expounded on my love of local honey and how lucky I am to live right down the street from a guy who makes his own honey. The main reason I consume local honey is because it helps alleviate my seasonal allergy symptoms (which, for me, occur all year round). It really does work (especially if you add a bit of apple cider vinegar to it). But honey does more than just help fight allergies. 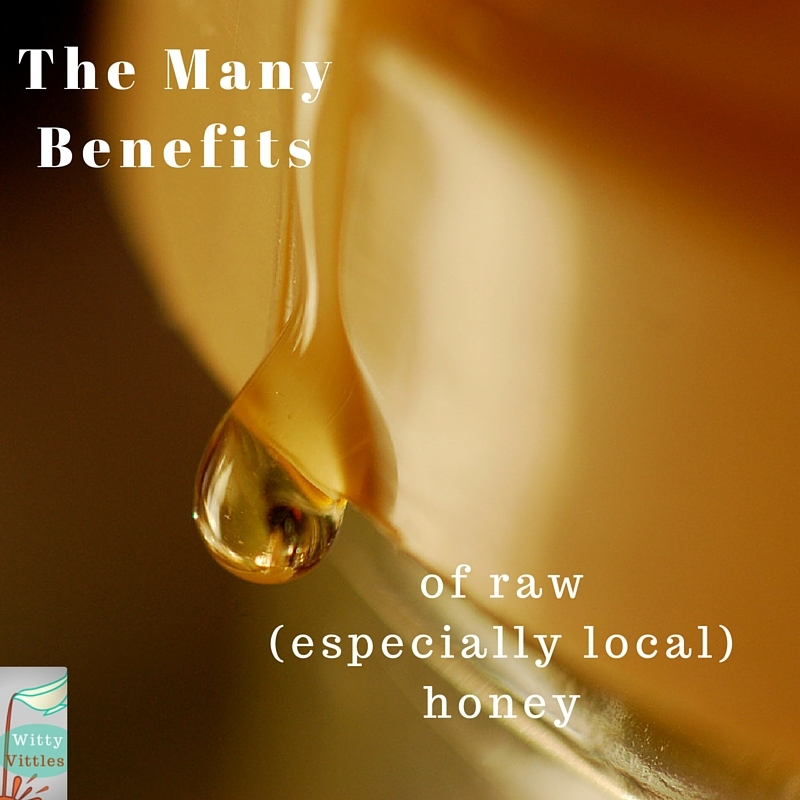 It’s a nutritional powerhouse full of vitamins, minerals, and helpful enzymes, which is why it’s so important to choose local (or at least raw, unprocessed honey). The processed stuff that comes in the cute little bear-shaped bottles? Sorry, it’s just not as good for you. I know it’s hard to believe. 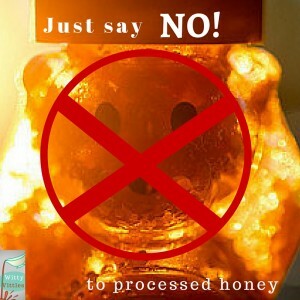 How can the honey that comes in the cute little bear containers be bad for you? Well, the truth is it’s not BAD. It’s just not AS GOOD. The pasteurization process that is supposed to make honey better for you actually kills a lot of the good stuff (vitamins B and C, calcium, magnesium and, potassium, just to name a few). These give honey its natural healing powers and its anti-bacterial, anti-fungal, and anti-viral properties. A word of caution here: some of the nutrients in raw honey MAY burn off during cooking with very high heat, but you’ll still be better off using it in your hot tea than you would the junky processed stuff because there’s a chance some of the good stuff may not burn off. You can even use honey in your baking instead of white sugar (a general 1:1 ratio is a pretty good rule of thumb to start with, but you may want to experiment with this to see what bests suits your tastes). If you’re not lucky enough to live down the street (or even in the same town) as someone who produces local honey, you might want to consider joining the manuka honey craze. Manuka honey is gaining traction in the health food world as a forerunner in the natural fight against the bacteria and fungi that make everybody sick from time to time. It’s full of trademarked goodies that have been labeled “Unique Manuka Factors” (UMFs). Manuka honey is only local for those of you who live in Australia or New Zealand. But the magic of the Internet has now made it available to everyone worldwide. I’m pretty happy continuing to support my local honey guy, but the stuff I’m reading about manuka honey certainly is impressive. I might mix it in with my local honey one of these days for even more raw honey health benefits. Sure couldn’t hurt, could it?